I recently got a new job which requires me to dress a little more professional. Not completely professional, but at least not in a tee-shirt and shorts. I was not liking my current Vans slip on shoes, so I set out to find something more minimalist that I could wear to work without socks. After hours of searching my mom mentioned some shoes that I "probably won't like because they did not look minimal enough." Luckily this was not the case. After trying on countless shoes we went to our last resort, "Those shoes at Mountain Crossings." These "shoes" were the Sanuk Sidewalk Surfers . "Sanuk, which means "Fun &; Happiness" in Thai, was started by a southern California surfer with a whacked out taste in footwear. Whether you're a surfer chasing the perfect wave or a rock climber seeking the perfect line, our goal is to offer you sandals that are as much about funk as they are about function." "Unlike stiff shoes, our patented sandal construction allows your feet to bend and flex the way nature intended. Walking with this natural motion strengthens your feet, enhancing both your balance and your performance." I'm glad they have their minds in the right place! The next thing I noticed was the amount of room that I had in them. The designers created them to fit loosely. This allows for high breathability when wearing without socks. Though they are a little bit warmer than barefoot or sandals, they are much cooler than my Vibram Five Fingers KSO and other shoes that I commonly wear socks with. Another benefit of the ample room is that they allow your toes to splay naturally, unlike my Vans and other western shoes. As far as ground feel goes they feel the same as a pair of flip-flops. They don't have as much ground feel as my Vibram Five Fingers KSO. Although this doesn't really bother me, this is my only caution to other barefooters that are looking for a decent looking minimalist shoe with a ton of ground feel. The material of my Sanuks are all-organic hemp. I like this because it feels good against my skin and lets air flow in. It also feels durable. I have ran, biked, and spent many hours walking in them and they are holding up nicely. Since they fit loosely, I wouldn't recommend running far in them unless you have experimented with barefoot running first. 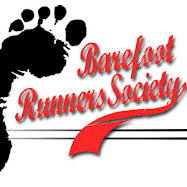 The way you have to run in them to avoid blisters involves having good barefoot running form, as you have to lift your feet straight up and stepping directly below your hips. The grip on the bottom is what you would expect from the sandal-like design. I have slipped a few times on ice with them, but that was more due to my poor ability to judge ice. kick their shoes off even with the most minimal of shoes. To learn how to say "Sanuk" and check out what they are all about, give them a visit at Sanuk.com. Also check out news and updates about Sanuk on Twitter. I think that it is optional. I usually don't though. if I have to wear them all day I will usually wear socks because it prevents my feet from sweating. Why do people say Sandals are so bad for your feet? Any idea if the women's Sanuk Yoga Sling 2 sandal has as flexible a sole?